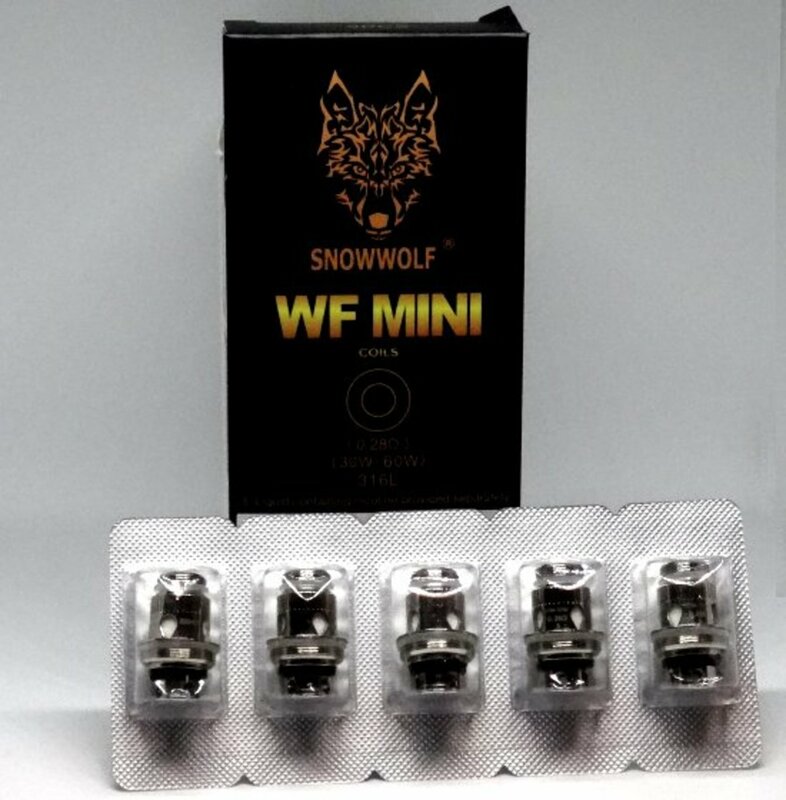 Snowwolf WF Mini Coils 0.28 Ohm | Electronic Cigarette Co. Pack of 5 genuine replacement Snowwolf WF Mini 316L stainless steel coils 0.28Ω Ohm. Compatible with the Snowwolf Wolf Tank Mini. Pack of 5 Snowwolf WF Mini Coils 0.28 Ohm.